This image of Mount Mayon Volcano in the Bicol Region of the Philippines. MT. Mayon is the most active volcano in the Philippines and over the last 400 years it has had over 48 eruptions. MT. Mayon is cone shaped and noted to be one of the worlds most perfectly symmetrical shapes for a volcanic mountain. 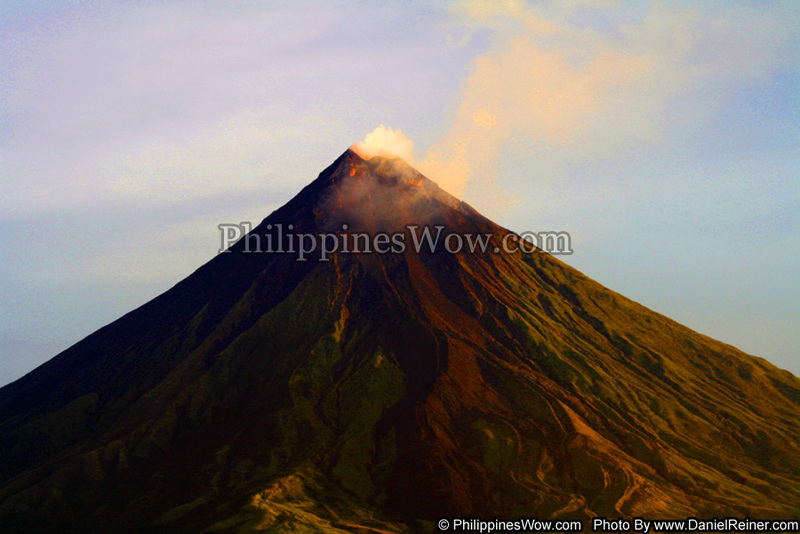 Mayon stands over 2462 meters (8077 feet) above sea level and its first major eruption was recorded in the year 1616. The most destructive eruption happened in 1814 and the lava flow destroyed the nearby town of Cagsawa. This image was taken shortly after a lava flow eruption and you can see the brown burn trails on the side of the mountain.